Tonight it’s back and the nation is holding its collective breath for as we know, “when you play the game of thrones, you win or you die”. 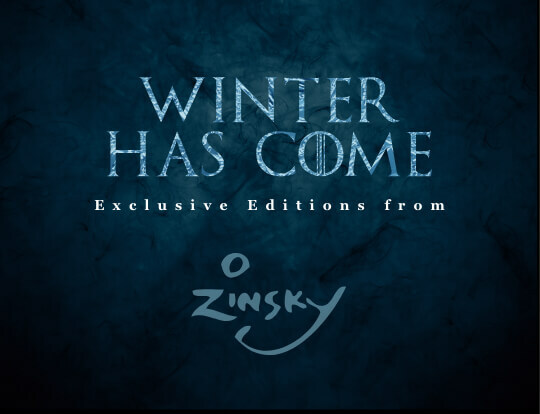 To celebrate the final series of one of the most successful TV adaptations of all time, celebrity portrait artist Zinsky has created two stunning hand finished limited editions of two of the most popular characters from the series. Whether you want them to win or die, you’ll definitely want the chance to acquire one of these brilliant commemorative collector’s pieces.